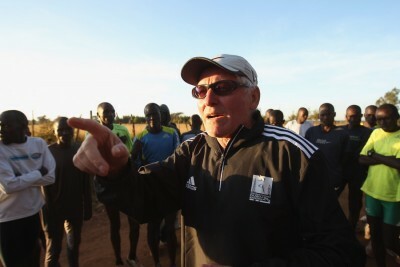 Editor’s note: Andy Arnold spent six months in Kenya earlier this year performing anthropological research on Kenyan distance running (and writing the occasional post for LetsRun.com). 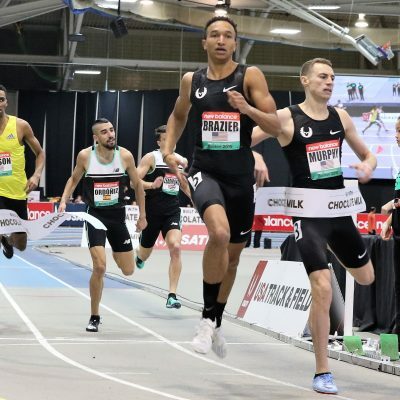 During that time, he struck up a relationship with famed Italian coach Renato Canova, whose athletes include 2012 Olympic bronze medallist Thomas Longosiwa, 2014 world indoor champion Caleb Ndiku and 3:28 1500 runner Ronald Kwemoi. More than that, Canova, who moved to Kenya in 1998 and is currently based in Iten, has influenced coaches and athletes throughout Kenya and Ethiopia, including Gemedu Dedefo, who coached both Boston Marathon winners this year. Recently, Arnold sat down with Canova when he was in Florida for a USATF conference for a one-on-one interview, which we’ll be running this week in two parts. To read Andy’s dispatches from Kenya, click here. Those were the words that Renato Canova chose to describe his role in helping the greatest talents in the world realize their athletic potential. The analogy is fitting. Both callings require a character willing to sacrifice much for the sake of discovery, and the strength to remain undaunted at the challenges faced by pushing boundaries. But whether those boundaries are embodied in a human being or embellished on a map, it takes a special kind of person to change them. And after catching up with the elderly Italian at this week’s USATF Annual Meeting in Orlando, I think it’s fair to say that Coach Canova is track and field’s Marco Polo. With over 60 years of experience in athletics, Canova, 71, has made coaching track and field his life’s work. He’s witnessed generations of Olympians, had a hand in training competitors in nearly every Olympic discipline, and served as counsel for no fewer than five different national track and field federations. But his influence in distance running has unquestionably been the most prolific of his achievements, and his proximity to contemporary East African performance has made him one of the few foreigners with true insight into distance running’s most rarefied air. It’s why athletes, coaches, and even officials were, as American Distance Project coach Scott Simmons testified, “hanging on every word” the Turin native had to offer during the USATF conference. Following Canova’s lecture, I had the opportunity to ask him a series of questions curated by LetsRun.com from the sport’s most voracious fans. AA: Many people were shocked by Kenya’s Olympic performance in the (men’s) middle and longer distance events this year’s Olympics. Kenya failed to produce a medal (or even a finalist) in the Olympic 5k this year, and both Bedan Karoki (7th) and, especially, Geoffrey Kamworor (11th) really struggled in the 10k. Even Caleb Ndiku, the silver medalist at last year’s world championships, failed to make the (5k) final. 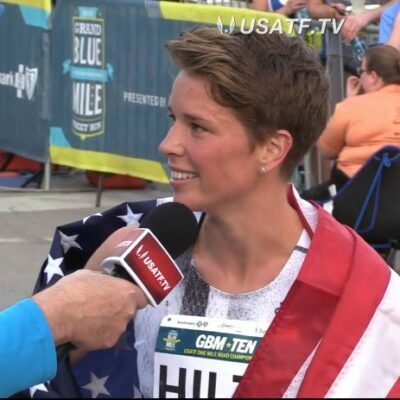 RC: I was not so much disappointed by the 5k and 10k because I knew what to expect ahead of time. Caleb Ndiku won the [Kenyan] trials only because he has more personality, a stronger mentality, than the others. But in the last three months [leading up to the Olympic trials] he had completed very, very little training because of a problem with his Achilles tendon. And immediately after winning the trials, when he went to the [Olympic] training camp, he never was able to have real training. He went one time for fartlek about three days after the 5,000 meters final at the trials, and afterwards needed to stop training for three or four days. From then on, he never could run something fast [in training]. So for me, it was not possible for him to compete well at the Olympics. But we must also mention the other Kenyans in the 5000 meters. Isiah Koech, who made the team, was weak all outdoor season. It seems to me that his is no longer motivated like he was two or three years ago. So his training was not of quality. He was still talented enough to make the team, especially since it was a slow race with a fast finish, but because of his training, I did not see him competing well in Rio. So what about Karoki and Kamworor? What was their problem? I believe the problems began with the team selection process. 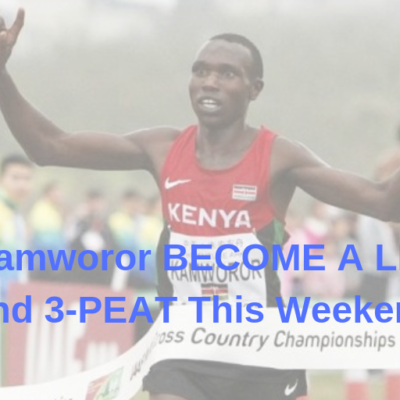 You must remember that during the trials both Kamworor and Karoki dropped out of the 10,000-meter race, and yet were each awarded wildcards. Now Charles Muneria Yosei ran very well in that race, finishing second behind [eventual Olympic silver medallist Paul] Tanui. Not selecting him for the team was something that I believed was a mistake by the Kenyan Olympic Team technical director, Julius Kirwa. 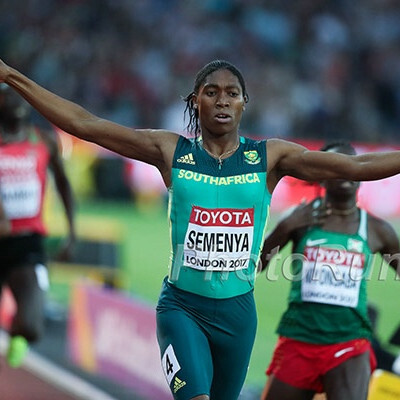 Dealing out two wildcards in the 10,000 meters should not have been possible, because it was not allowed. The rules of the Kenyan federation is to allow one wildcard MAXIMUM [per event]. That is the one decision for the coaches to make, only one. But they [Team Kenya’s coaches] wanted to give another wildcard to Karoki. OK, Geoffrey Kamworor competed bad [at trials], but the wildcard was for him, of course, in 10,000 meters. Karoki should not have received one. Don’t forget that one and half months before the Olympics, he was not able to run even two kilometers at the trials. So he was completely injured, completely out of shape, and in any case, he would not have the time for recovery or to get into shape before Olympics. So, in this situation, Karoki was the one that needed to stay home. The best solution would have been to [keep] Muneria on the [10k] team (he ran the 5,000 instead in Rio). He ran 27:57 at the trials in the heat and the altitude, and he is young and very promising. Kenya’s coaches should not have moved him to the 5,000 meters race, for he had not run faster than 13:23, instead they should have maintained him in 10,000 meters. (Note: Muneria was sponsored by adidas at the time of the trials; Karoki, Kamworor and Athletics Kenya are all sponsored by Nike). Do you think Muneria could have won a medal at the Olympics in the 10k? No, medal, no. Absolutely no. But I believe he could have arrived in top six. Better than Karoki, who was number seven. But moving Muneria into the 10,000 meters would have also helped the Kenyan 5,000 meters team in another way. [2012 Olympic bronze medallist] Thomas Longosiwa, who was the alternate because of his 4th-place finish at the trials, could have been placed on the Olympic team. 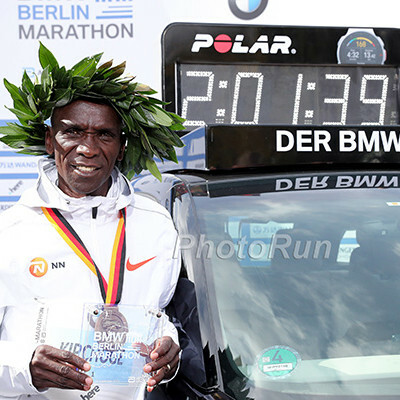 This was the situation: Thomas (who is sponsored by adidas) was the second fastest 5,000-meter runner in Kenya before the trials (he ran 13:01 in Shanghai on May 14; among Kenyans, only Kamworor ran faster in 2016) and was an Olympic veteran. He never failed at any time. Now, before the trials, he contracted an illness, an amoeba, and how the head coach of Kenya’s team did not know this, I don’t understand. But 15 days after the trials had ended, Thomas was by far the best in training compared to anyone else in the 5,000-meter group. He would have done well at the Olympics. Regarding Caleb Ndiku, if he stays healthy for the 2017 season, do you believe he can challenge Mo Farah for gold at the World Championships? [pauses] The number one next year, in both the 1500 and 5,000, is going to be Ronald Kwemoi. I have yet to decide which race we will focus on more. 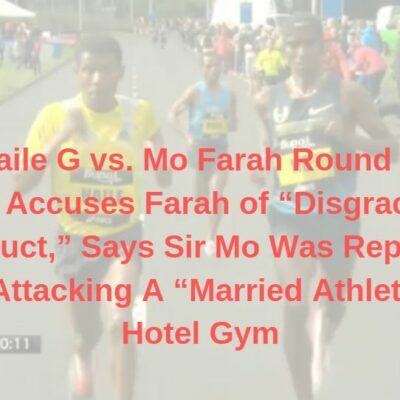 In the case that we choose to do the 5,000 meters, he will be very tough for Mo Farah. Who is your pick for Olympic gold in the 5,000 meters and 10,000 meters in 2020? In the 5k? Ronald, 100%. [laughing] 2020 is very far away, and the circuit is changing. Maybe there is some new athlete that comes, maybe. At the moment, I don’t see any particular talent that can have the ability to finish very, very fast in the last lap, that can clearly win the 2020 competition. So I don’t know. I’d also like to talk about Asbel Kiprop and the Olympic 1500-meter final. Once again, he entered the Olympics as the most dominant 1500 meter runner in the world, only to fail to achieve a medal. People have speculated as to why this happened. Some of the rumors out there have claimed that he was nursing an injury. Others have focused on the arrest of [his agent Federico] Rosa as a cause for distraction, and at least part of the reason why Asbel struggled in Rio. Do you believe there is any truth to these rumors? No. He did not have any injury leading up to the 1500 meters. As for the Rosa trial, it was complete stupidity on the part of the police. They did not investigate anything and they did not have any evidence. We know that they are completely clean, both Gabriel [Rosa, Federico’s father and founder of Rosa’s agency] and Claudio Berardelli. This trial was caused by a desire for revenge by somebody that asked Rosa to give him money, and Rosa refused. And with this one situation, all the other situations became bigger and bigger. You see, there was this new law regarding performance-enhancing drug use and its enforcement, and the Kenyan police wanted to show that they wanted to do something and wield this law. Also, the Kenyan federation was not informed about anything from the police. So obviously, they were not very happy about the Rosa situation. Kiprop looked so good in the heats, it seemed a near certainty that he would win the final of the 1500 meters. Do you believe that he could have won gold with a better tactical race? 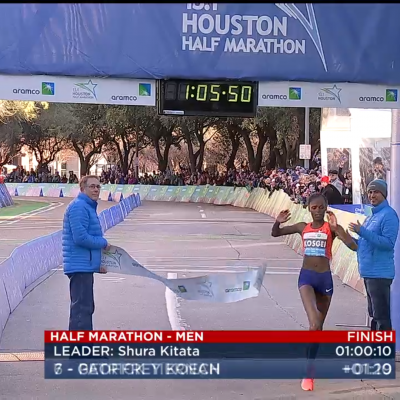 Kiprop looked good, but he did not look as good as Ronald Kwemoi. When you watch the heats and the semi-final, clearly, the best man in the competition was Ronald. But the real problem was that both of them were too stupid. Both of them. Because it was not possible to go out in 2:17 in the first 800 meters staying behind all the group, it’s ridiculous. Because Matt [Centrowitz] closed the last 400 meters in 50.6 seconds and the last 500, I think, in 63.4, something like this (actually 50.5 and 63.7). On a related note, should there be more of an emphasis on learning tactics among young African runners? Matthew Centrowitz has said of the Olympic final that going through the NCAA system helped him to be prepared for this race because many of the NCAA championship races are slow. Well, I don’t know if it was really the NCAA system that has helped Matt Centrowitz. Because it’s been how many years since he graduated from the NCAA system? (Five). And how many years has he been one of the top in the world competing over 1500 meters? I think that [Taoufik] Makhloufi, for example, has been very good in competition tactically, but he has never had the NCAA system experience. So I think that this is something that comes from inside the athlete, that is like instinct. There are athletes that understand automatically where they need to go, to prevent themselves from being boxed in late or something like this. Of course, experience is important, no. So this is one reason why I don’t excuse Asbel, because he had already experience. He is often the strongest athlete, and has been to these championship finals before, but he continues to have these spectacular failures in tactics. As for Ronald, I told him that he was stupid, but, stupid because he did not have the experience. So, I hope that they can learn, of course, but in any case, it is not possible to win tactical races by staying behind. The last lap is the same speed for everybody. If you run five meters behind, you must run two seconds faster on the last lap. Because, when you move, all the people that are between you and the leader move out. So you do not run 400 meters, you probably run closer to 420 meters! So really, in this race, Asbel needed to run finish the last 400 meters in 48-something and that is not possible in the 1500 meters. Why Isn’t China Better at Running? What did you learn in China? Obviously, you are no longer working with the Chinese federation, but while there, you must have gained some insights regarding their potential as distance runners. China has a massive population, and clearly some talent, at least on the women’s side (drugged or not). So why aren’t the Chinese better? Let me give you a stat that will help shed some light on the problem. China’s national record in the women’s 1500 meters is 3:50.46, run in 1993 during their national games in Beijing. 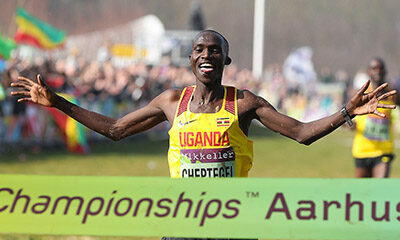 Last year, the winner of the 1500 meters at the national games ran 4:36. So, while there are over one billion citizens, it is their organization of the sport that is causing the problem. First, there are no clubs. The country is divided into 33 provinces (34 if you include Taiwan). The average population of each province is about 40 million people. In these provinces there are no clubs, rather the club is the province. So the system is similar to athletes joining the army: they run for their province and the province pays them. This works the same for the coaches that are in China. This means that if you want to compete for yourself in China, you can’t. It is not possible to have competitions for people who are not already paid to compete for the province. And the only competitions that matter, for the provinces, are the national games and the domestic olympics, every four years, the year following the normal Olympics. So when you ask to remove athletes from the province teams to prepare them for the world Olympics, or a major marathon, or other international competition, the provinces are not pleased. They view such moves as a disturbance, something that will hurt their chances at the national or local olympics. So the reality is that in China, their organizational focus is wrong. Compare them with Japan, for instance. In 2014, 257 Japanese athletes ran under 29:30 in 10,000 meters (actually 291), zero Chinese. 257:0 is not a problem of good coaching, it’s a problem of organization of the country. I talked to the federation and told them what they needed to do. You can’t improve because all the power is in the hands of the provinces. Until you change this dynamic, I am not interested. I hope they listen to my advice — it was the reason why I went. Week That Was: Brazier AND Murphy Impress, Should We Not Get Excited About Fast HS Girls?, Who are the World XC Favorites?